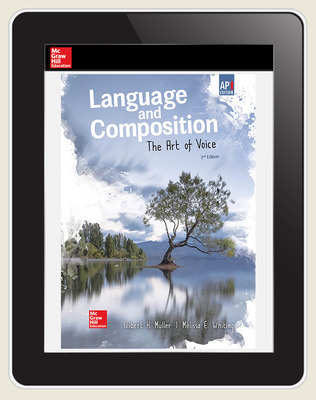 Language and Composition: The Art of Voice is a blended reader/ rhetoric that span myriad ages, cultures, and disciplines while building a solid foundation for students as they learn to approach, analyze, and respond to a variety of selections. The text, paired with the digital resources in the AP advantage, delivers accessible and adaptive support to help student prepare for the course, keep pace with the course, and pass the exam. 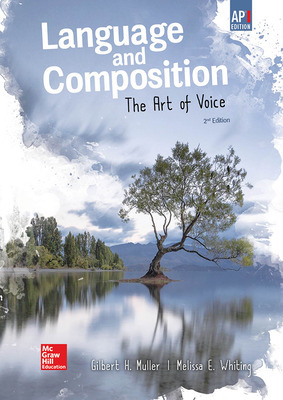 • Expanded coverage on rhetorical analysis and devices creates a solid framework. • Synthesizing Sources On feature is refreshed with new, contemporary themes. 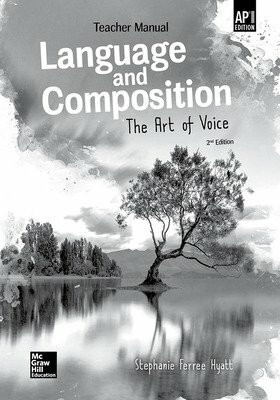 • Increased support for argument includes a focus on core skills. • New student examples of AP Synthesis, Rhetorical Analysis, and Argument essays provide meaningful models. 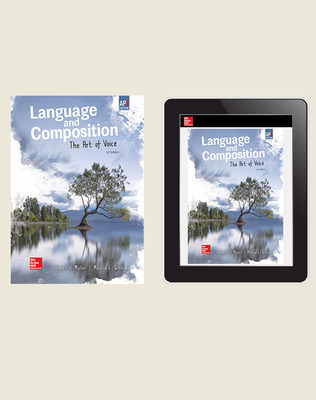 • Enhanced visual rhetoric coverage helps students to effectively read and respond to images as texts.